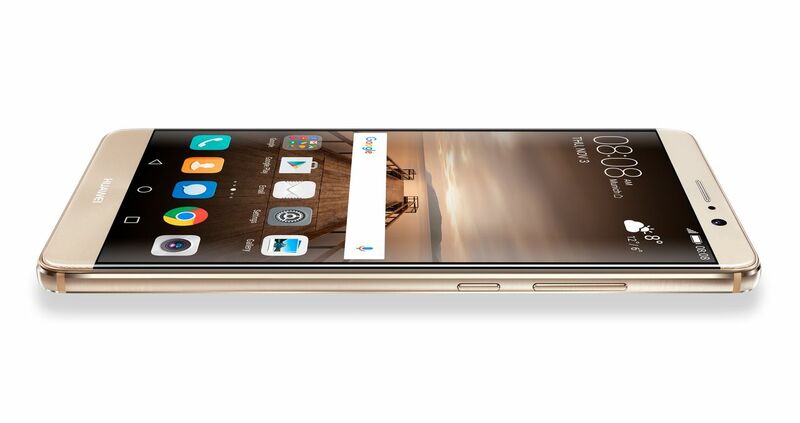 Huawei officially announced the Mate 9 in Munich, Germany yesterday. Huawei has announced the Mate 9 in Munich, Germany yesterday. While there is no official release date for the US as of yet, the Kirin 960 based phone with 5.9 inch Full-HD display will come to the US eventually. 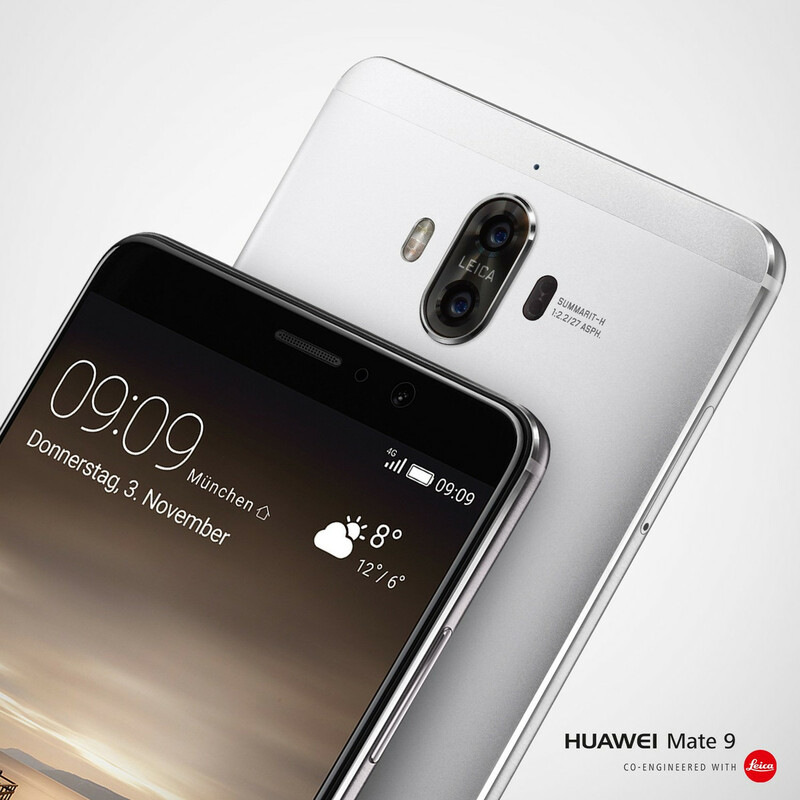 Huawei has launched the Mate 9 in Munich, Germany yesterday. While it will be available for preorder in Europe as of today, so far there is no confirmed launch date for the US. 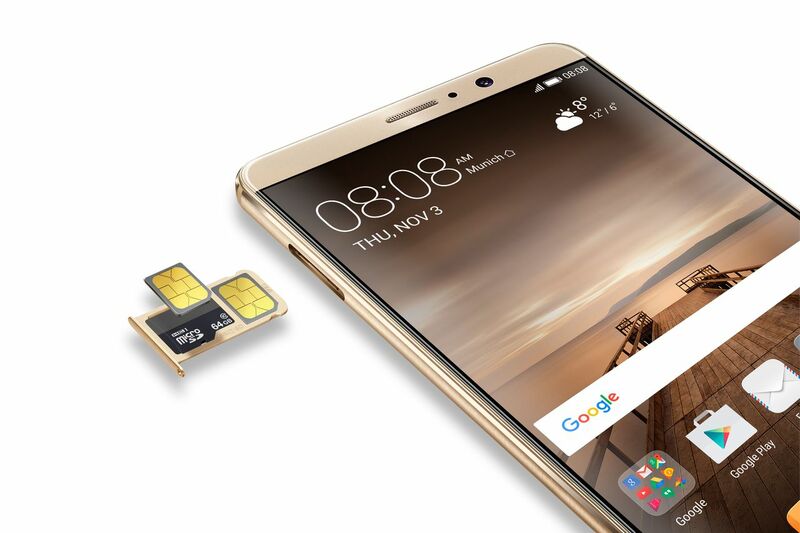 Also, Huawei might decide to offer a slightly different version for the US eventually. 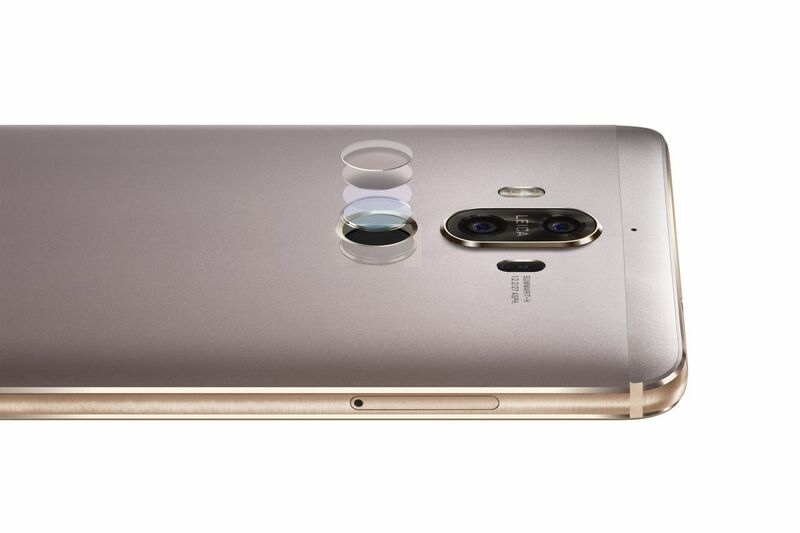 Currently Huawei has introduced six color options for the Mate 9: space gray, moonlight silver, champagne gold, mocha brown, ceramic white and black. However, currently not all color options will be made available in every country. As previously rumored, the Mate 9 will integrate the new Kirin 960 processor, which will bring better performance and more energy efficiency to the Mate 9 thanks to its ARM Cortex A73 core and its Mali G71 GPU. The latter is said to offer dramatically increased graphics performance compared to its predecessor. 4 GB of LPDDR4 RAM and 64 GB of UFS 2.1 storage will be integrated. Storage will be expandable using Micro-SD cards. The 5.9 inch Neo-LCD display only offers Full-HD resolution, so it won't be a good fit for VR-applications, however, it is supposed to offer a good contrast ratio of up t 1:1,500. 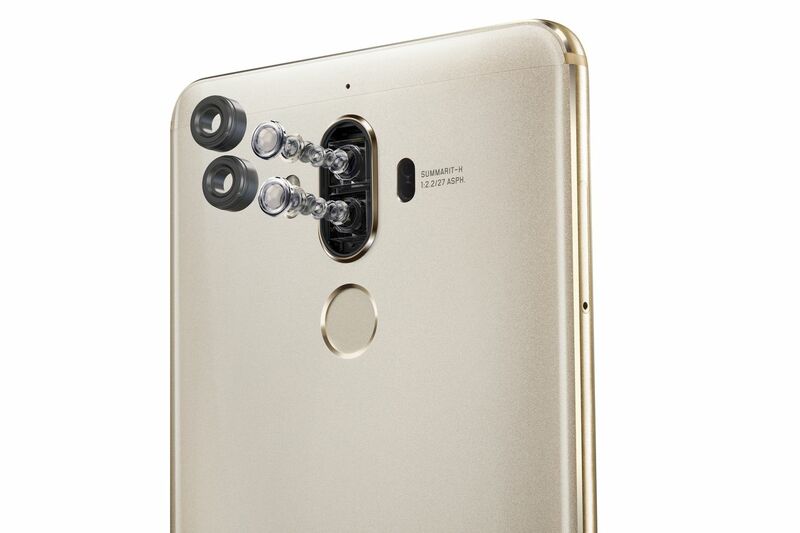 Huawei added a Leica branded dual-cam to the Mate 9 but compared to the dual-lens-system on the Huawei P9, the specs were updated. The black and white sensor now has 20 megapixel resolution while the color sensor offers 12 megapixel. Both have an aperture of F/2.2. Huawei says, that the camera duo will be a perfect fit for low light photography and thanks to Laser-, Phase Detection, Depth- and Contrast-Autofocus, even fast moving objects will always be captured in focus. There is a new technology called "Pixel-Binning" as well and some new algorithms that run on the image signal processor (ISP) of the Kirin 960 to improve image quality. 4K-Recording will be supported on the Mate 9. 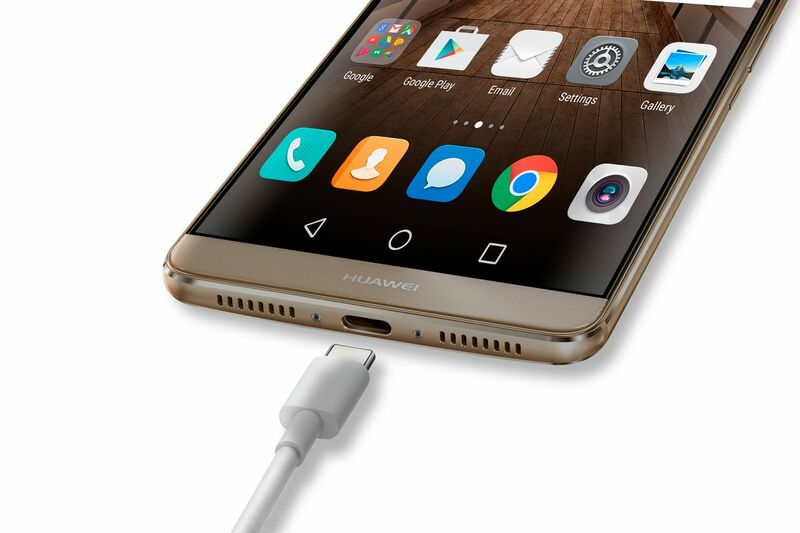 Huawei teased a big battery and fast charging before the launch and they might deliver on this one. 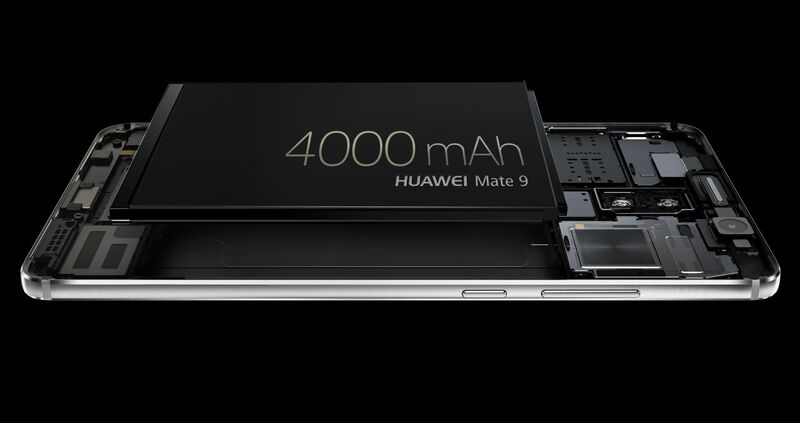 The integrated 4,000 mAh battery will most likely get you through two days without a problem and supercharging the phone with Huawei's new fast charging technology will give you one day of use after only 30 minutes of charging time. Huawei also mentioned that charging will be completely safe thanks to a bunch of safety measures the company implemented. 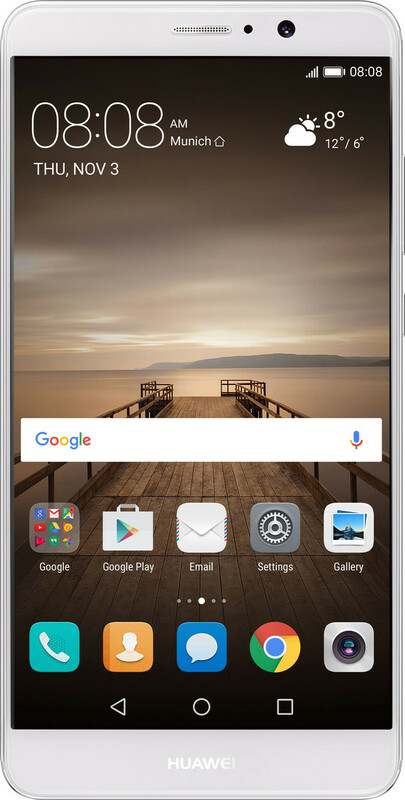 Android 7.0 comes preinstalled on the Mate 9, in addition Huawei paid special attention to a refined and much improved EMUI 5.0 which runs on top of Android. Huawei implemented machine learning to improve performance of the system over time and they also decided to go with a different file system called F2FS to get more performance out of the device in daily use. In addition Huawei removed menu clutter in EMUI and touts the new interface as a simplified access to your phone. NFC, Dual-Band 802.11ac WiFi and Bluetooth 4.2 are supported, as ist LTE up to Cat.12 with support for 20 LTE-bands worldwide. 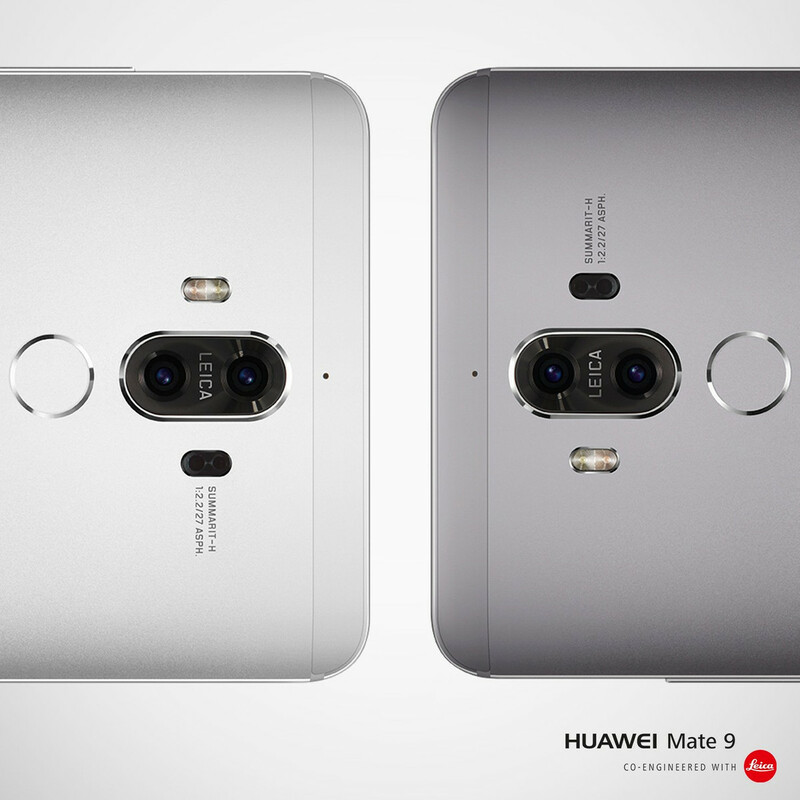 There will be Dual- and Single-SIM versions of the Mate 9 available for preorder in Europe starting today. Pricing for the Mate 9 will be 699 Euros which translates to $776. However, pricing for the US might be slightly different once Huawei officially announces the Mate 9 for US markets. 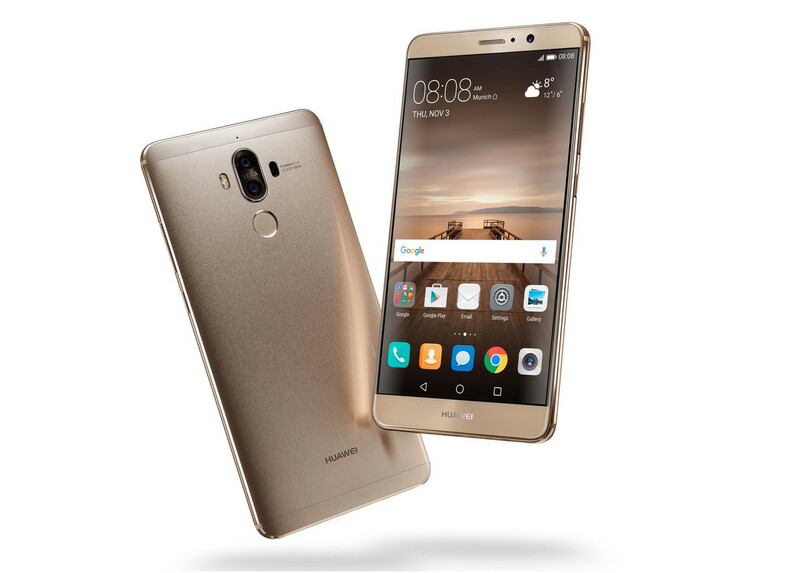 Huawei also introduced a much more expensive Porsche Edition of the Mate 9 yesterday, you can find more on that one here.